When you call 999, an operator will ask you which emergency service you need. 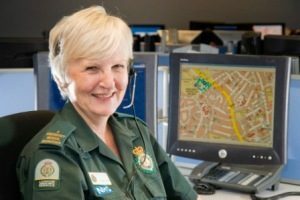 In a medical emergency, ask for the ambulance service and you will be put through to one of our call-takers. What information will I need when I call 999? In the video below Jules Lockett, Head of Control Services Training, explains how the information you provide to us helps us. The location where you are, including the area or postcode. As soon as we know where you are we will start arranging help for you. Details of the injury and how it happened. Answering these questions will not delay us, but it will help us give you important first aid advice while our staff are on their way. The extra information also helps us to make sure you get the most appropriate help. In the video below Jules Lockett, Head of Control Services Training, explains how you can look after the patient until help arrives. Call us back if the patient’s condition changes. Call us again if your location changes. Lock away any family pets. If you can, write down the patient’s GP details and collect any medication that they are taking. Tell us if the patient has any allergies. Stay calm—our staff are there to help. Violence or threatening behaviour aimed at them will not be tolerated and could delay help getting to the patient. There are things you can do today to help us in the future. Check that your house number can be seen from the road. If you live on an estate, check there is a clear sign to direct emergency services and that all lifts are working. If it’s dark outside turn on lights to help our staff to find you quickly.